The game-changing fabric is getting an upgrade. Even though it's only six years young, it’s hard to imagine Nike without Flyknit. Since 2012, the futuristic fabric has become a flagship product for the Swoosh and has earned a reputation as a go-to for elite athletic shoes and everyday kicks alike. And luckily for all the Flyknit-heads out there, Nike just announced a big-time update to the Flyknit technology: sturdier support, better flexibility, and even more breathability. 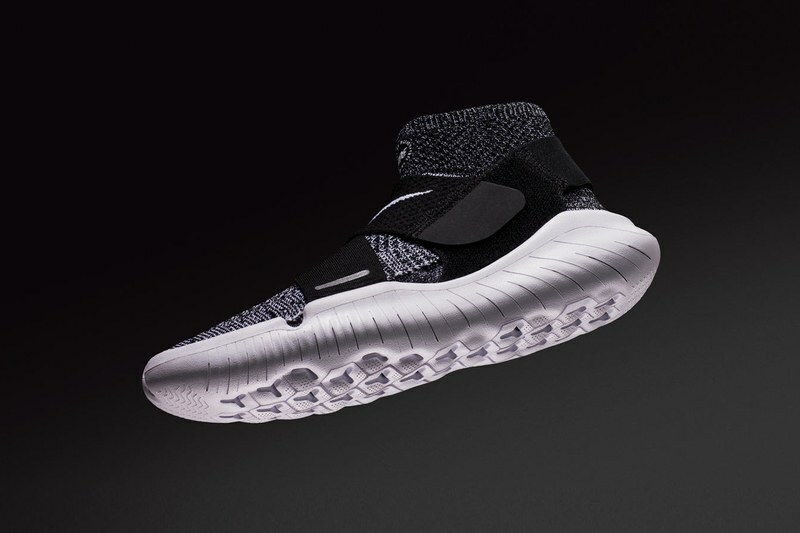 The main innovation here is that the machines that make Flyknit can now create an entire shoe upper in complete 360-degree form. The old method (which was still pretty forward-thinking for its time) required having to fix a flat knit upper to a seperate midsole, which left a tiny seam at the heel. This new process provides seamless, full-coverage fit that helps stabilize the foot and ultimately keep your feet from ice skating in your shoes. That means, in theory, better agility and speed for athletes, and a comfier fit for the more casual wearers If 360-degree construction wasn’t enough of a selling point, this new more streamlined method also minimizes its impact on the environment. (Nike says their new precision engineering produces 60 percent less waste than traditional cut-and-sew methods.) So, not only is the new Flyknit better for your feet—it’s also better for Planet Earth. While the OG Flyknit Trainer may be the crème de la crème of Flyknits that sneakerheads swear by, this first batch of kicks to feature this new-and-improved knit tech is nothing to scoff at, either. To start, you’ll see the new Flyknit on the brand new Kobe NXT 360 and Free RN Motion 360, which will both release this April. (For the soccer fans, Nike’s latest Mercurial Vapor and Mercurial Superfly cleats also feature the new goods, too.) It’s a slow start, but expect to see the new Flyknit tech make its way to other classic Nike sneakers in upcoming months—and you better believe that a lighter and more breathable shoe will come in handy when the weather finally warms up.